Support and Advice for You! 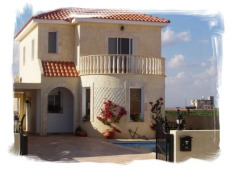 A Cyprus Property Investment is a major financial commitment. Don't rush to buy and ask questions later. 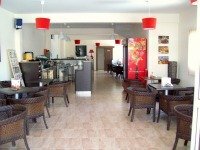 We want to offer you the BEST, UNIQUE, Personal advice before you rush into buying property in Southern Cyprus. Making a Cyprus property investment is worth considering but please don't rush into it. Free inspection trip, free advice, inhouse solicitor, financial adviser, after sales services, etc, etc. Like countless others, you'll head straight for a Cyprus Estate Agent or Cyprus Developer. By the way... I have searched the internet HIGH and LOW, guess what!! I couldn't find any property advisers in Cyprus who are truly independent. If you can find any, We would love to hear from you. More than likely, when you arrive to start the journey of finding your perfect Cyprus property investment, you won't know anyone who can direct and advise you. People spend more time and ask more questions about buying a car than a property. The bottom line is... as nice and helpful as your choosen developer or estate agent may be... their agenda is to get you to buy a property, use their Inhouse Solicitor, financial advisers. Its all part of a process. The difference between them and us... We are NOT in the business of trying to sell you a property. Arrange to meet with you before you start looking at property. Discuss your requirements as to where, coastal, town or village and what type of property you would like. Based on our discussions, advise you on which areas to look at first, this will save you time if you are only here for a short break. If you wish we will show you these areas and answer any questions or concerns you have. Take you through the process of buying a house in Cyprus, alerting you to the pitfalls. Advise you on employing an independent solicitor and where they have their offices. If you decide to buy off plan, we will take you through the process and help you understand the plans of the house and the areas, we will also show you, if available, similar properties to give you a real understanding how the property will look when built. If you are thinking about buying land in Cyprus and having a house built, we will take you through the process and advise you on the pros and cons ie. The costs that you can incur if for instances there is no electric or water services to the plot of land. In Cyprus depending on what sort of land you buy, there are laws as to what size of property you can build on it. We will take you through this and advise you on architects and project management. If you didn't find what you were looking for, just use this special search box to find. Thank you for visiting our website, please visit regularly as we are updating constantly. We wouldn't want you to miss important information. If you are making a Cyprus property investment for rental or profit we will take you through the different merits and feasabilities of each.